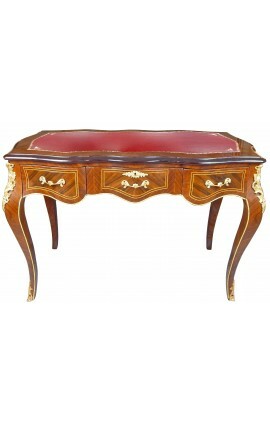 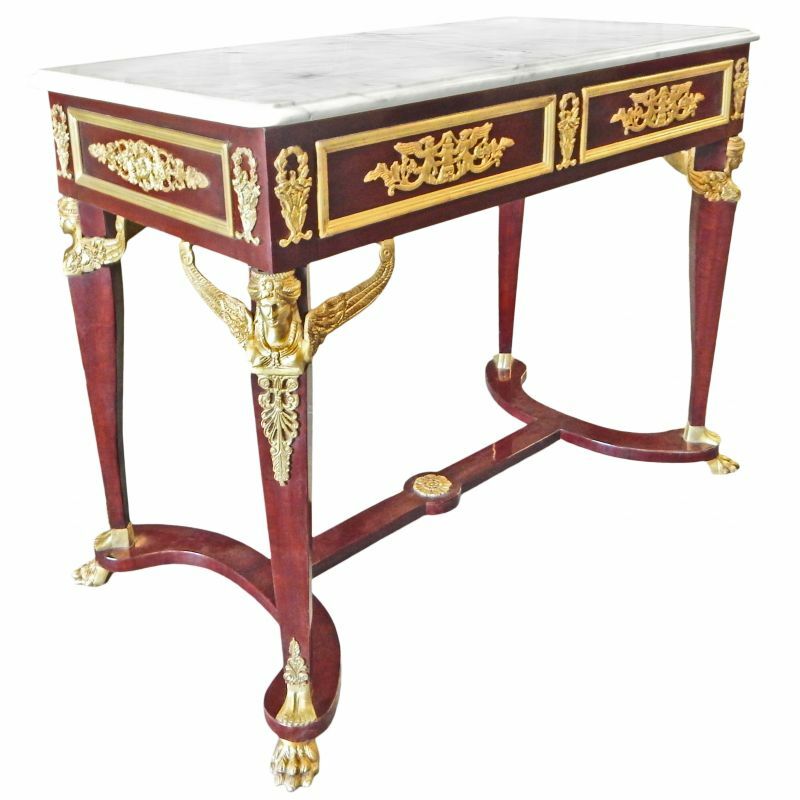 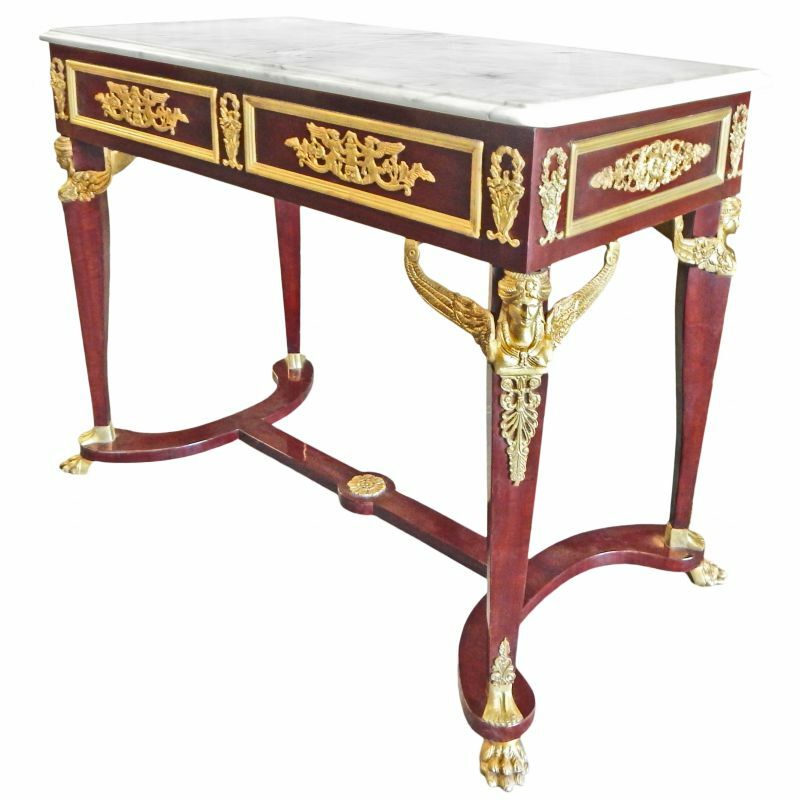 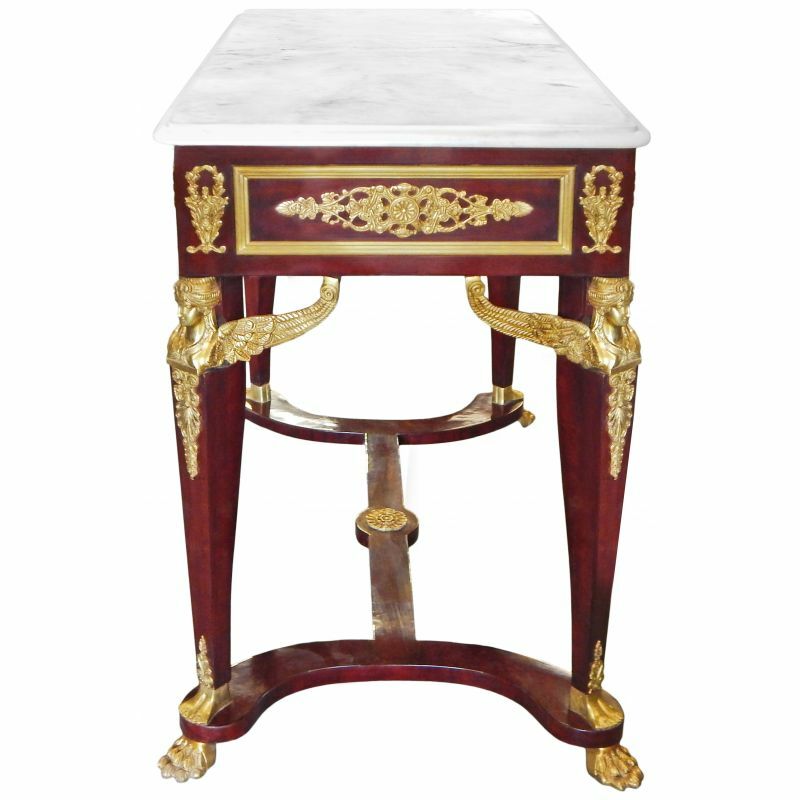 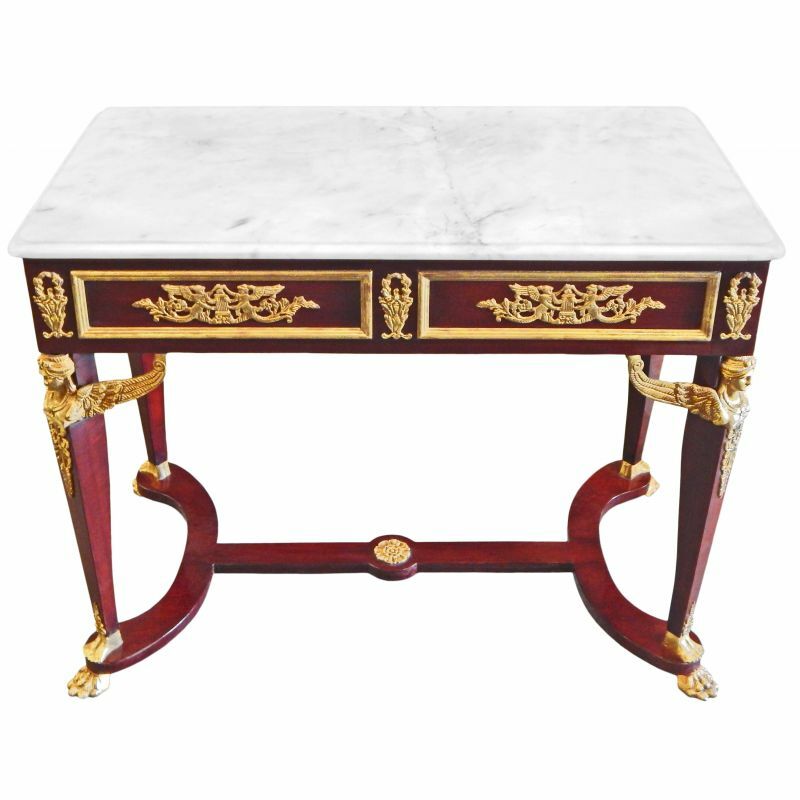 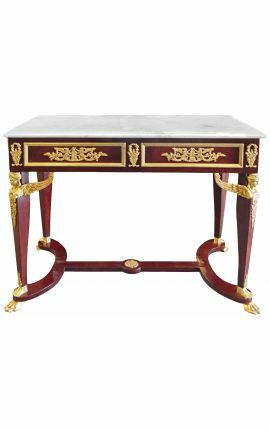 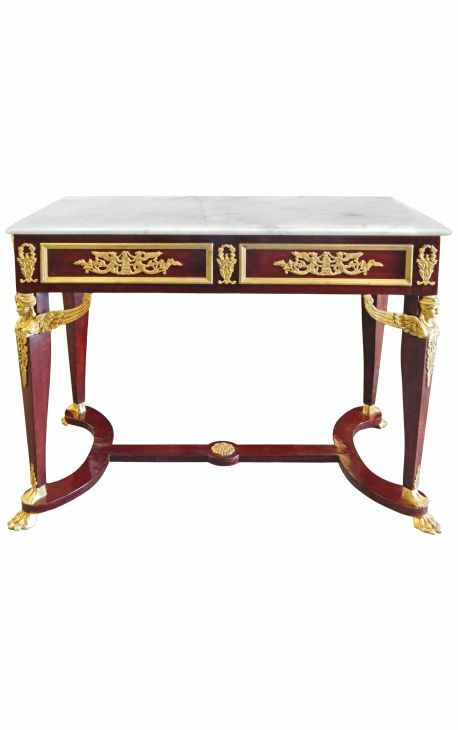 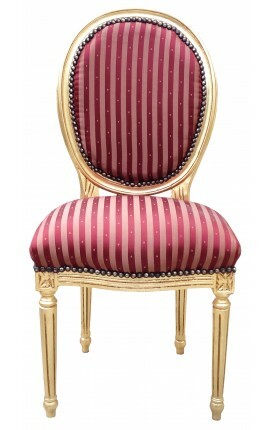 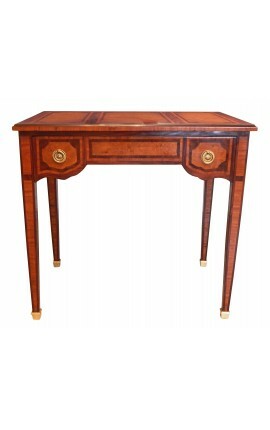 Splendid first French Empire style middle console. 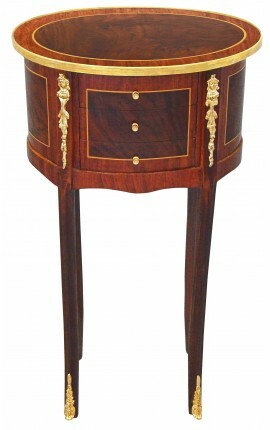 The structure is solid beech with mahogany veneer. 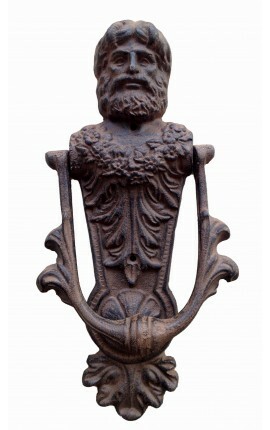 Rich ornamentation to the four faces of gilt bronzes on the belt with cartouche in the decoration of double palms, pediments winged Victories decor, flower pots covered and laurel wreaths. 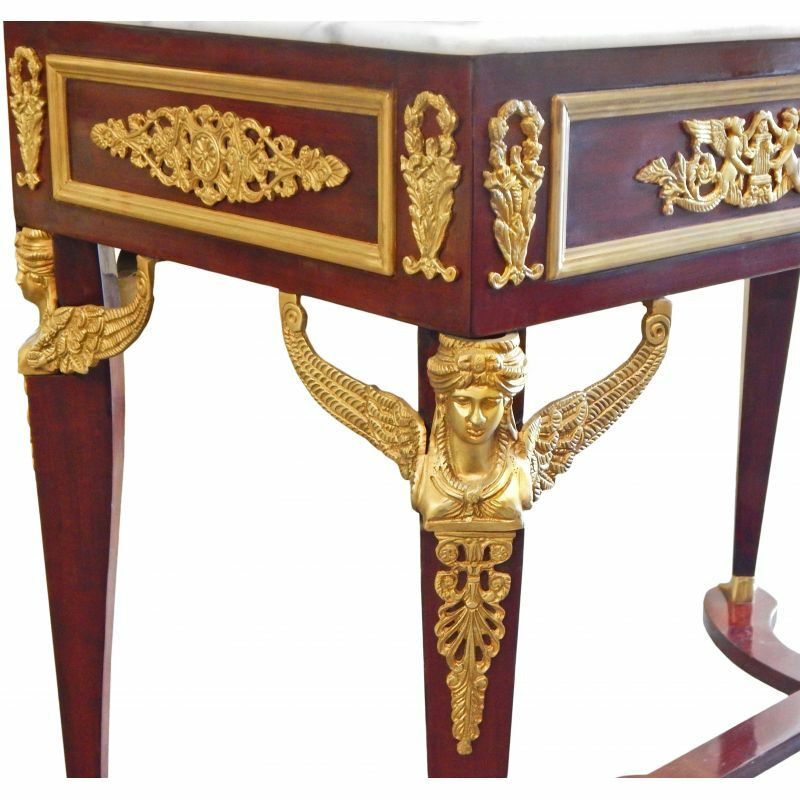 The four legs are connected by a low brace and decorated in the upper part of the Caryatids winged. 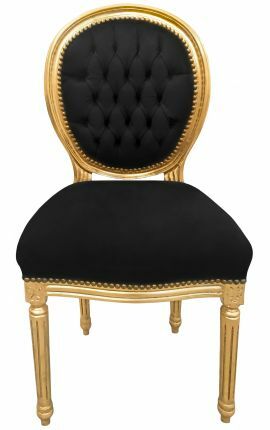 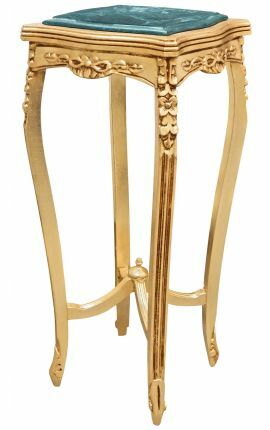 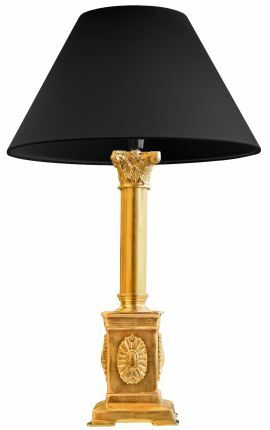 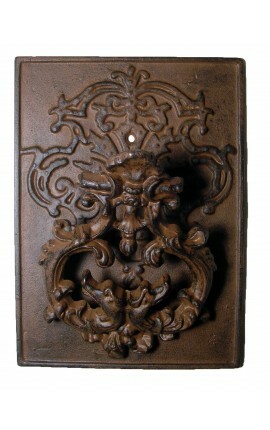 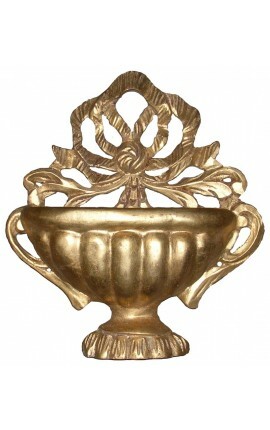 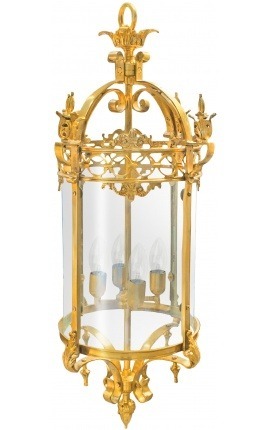 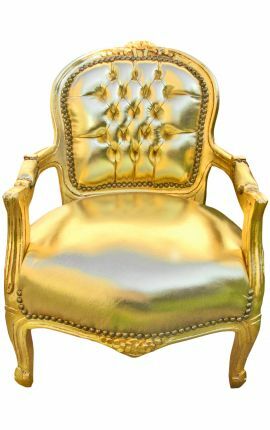 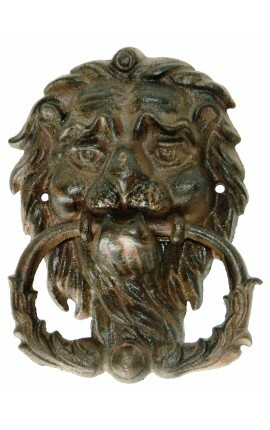 The lower part ending with lion paws gilded bronze. 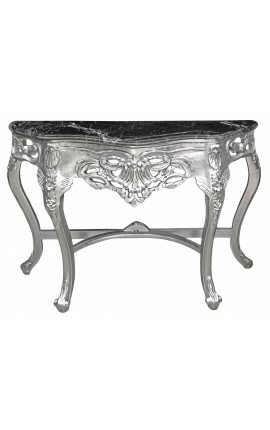 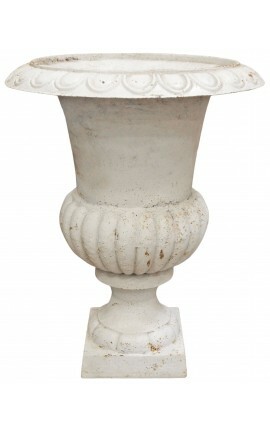 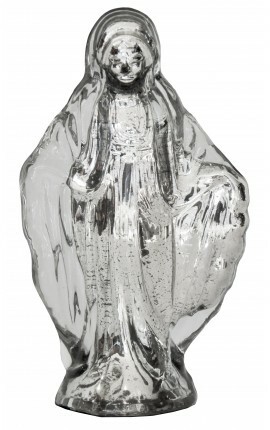 Top in white marble veined with gray. 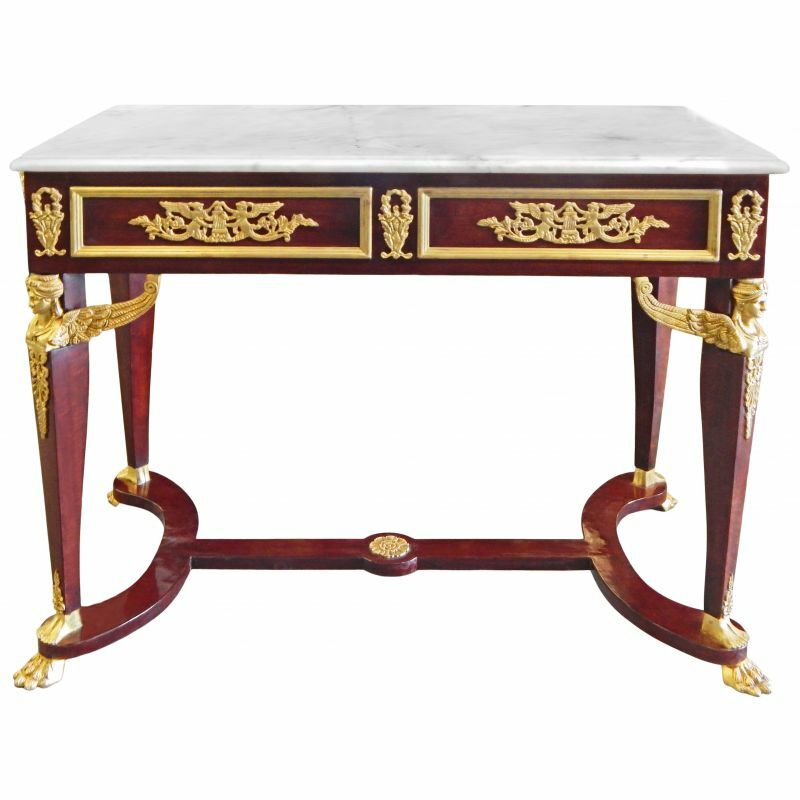 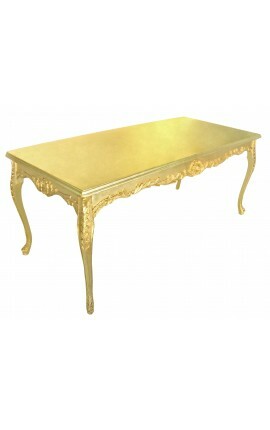 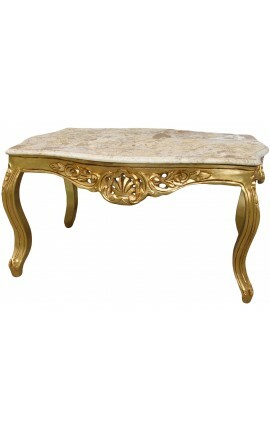 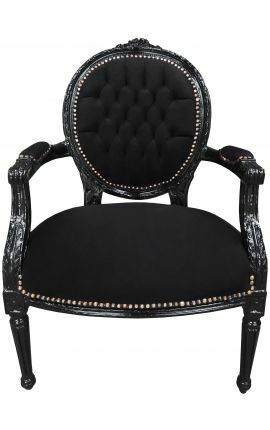 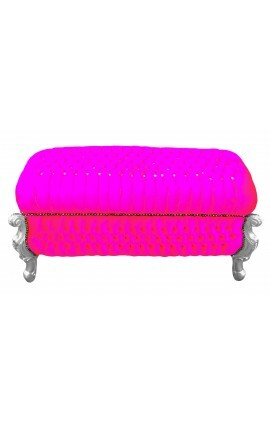 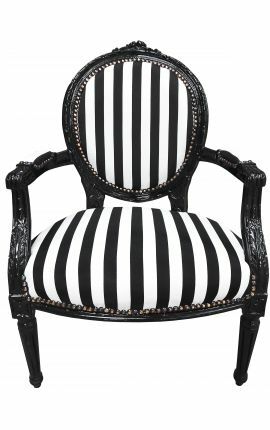 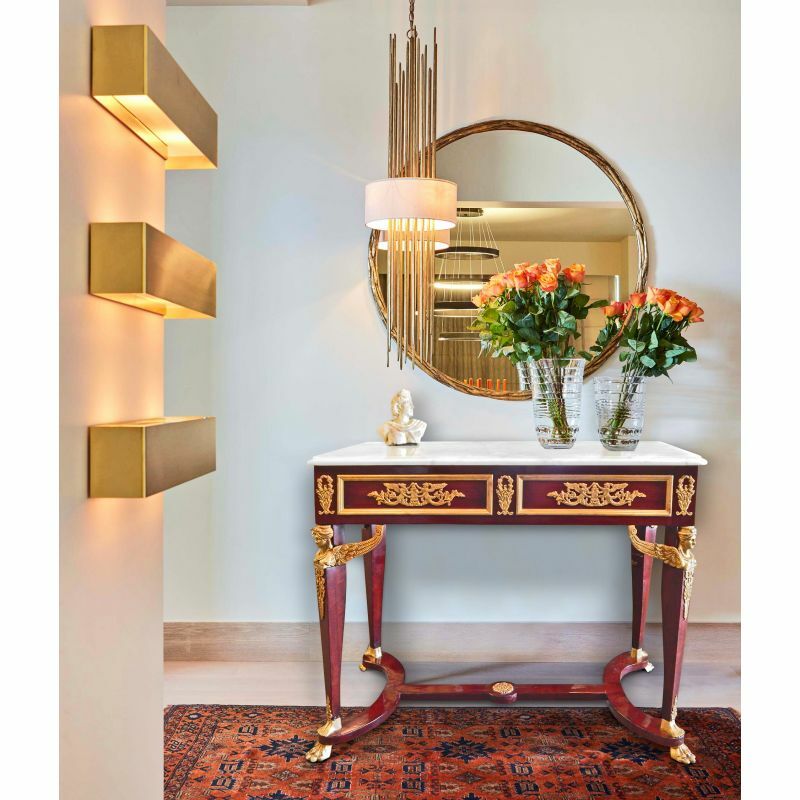 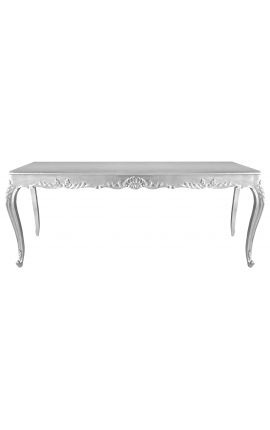 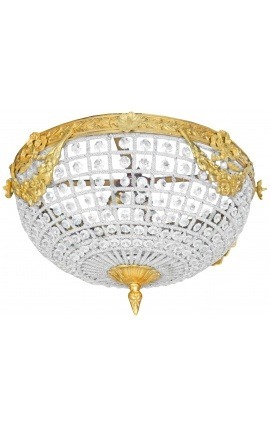 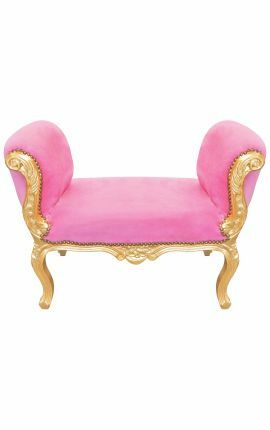 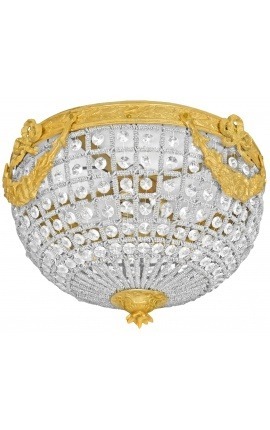 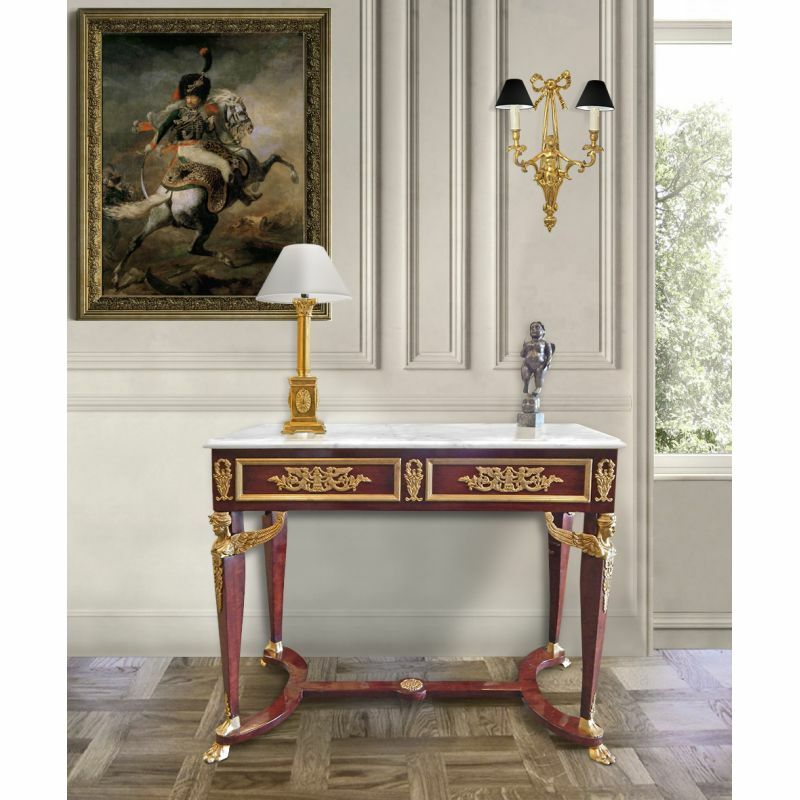 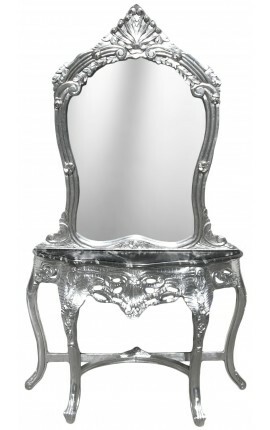 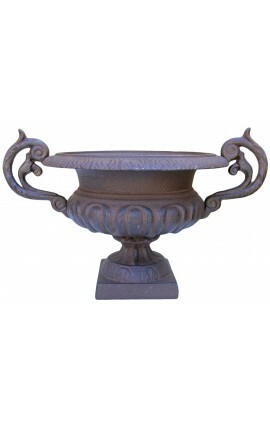 The French first Empire style middle console can also be placed against a wall. 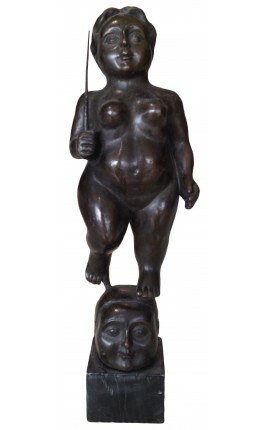 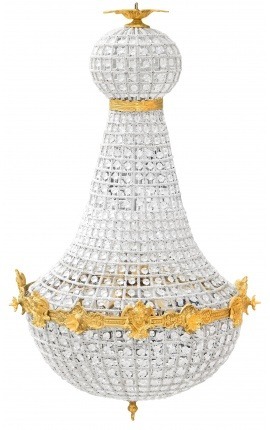 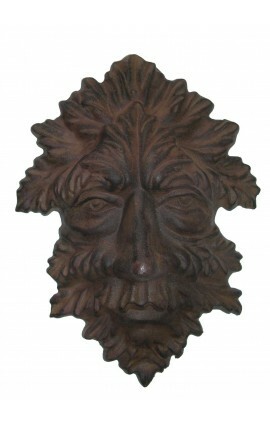 Size: 103 Cms width (total) x 80.5 Cms height x 53 Cms deep.